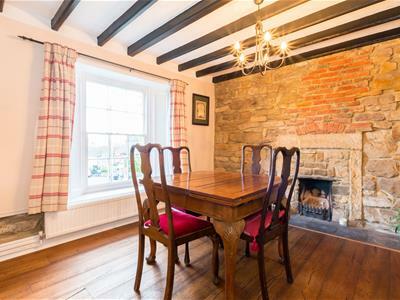 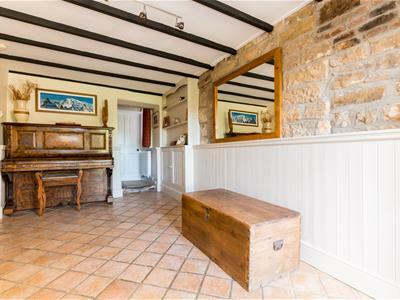 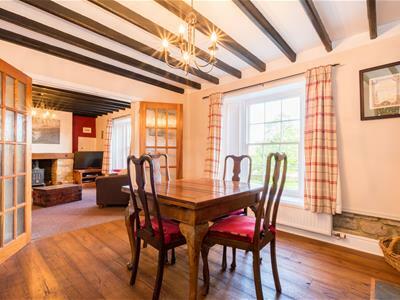 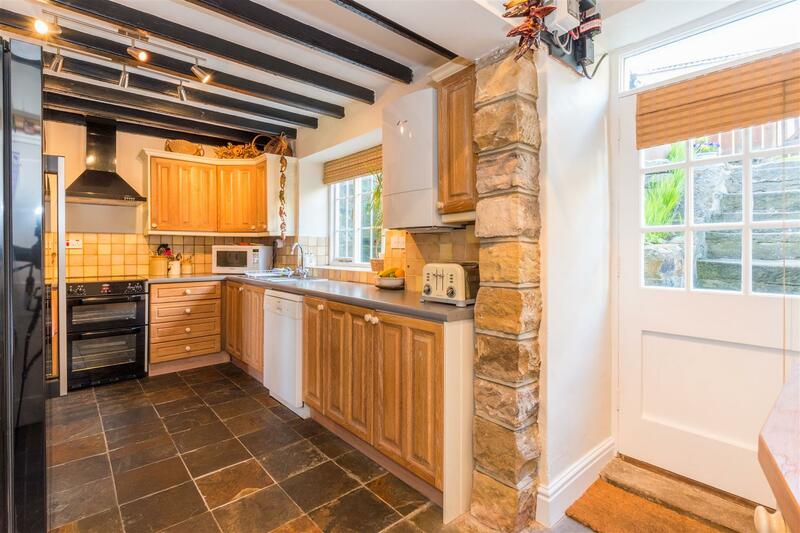 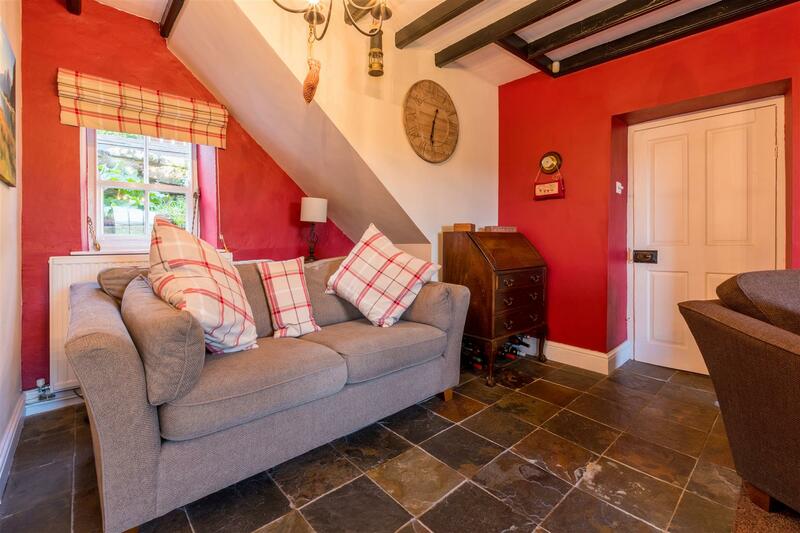 Green Oak Farm is an impressive grade II, stone built, semi detached property. 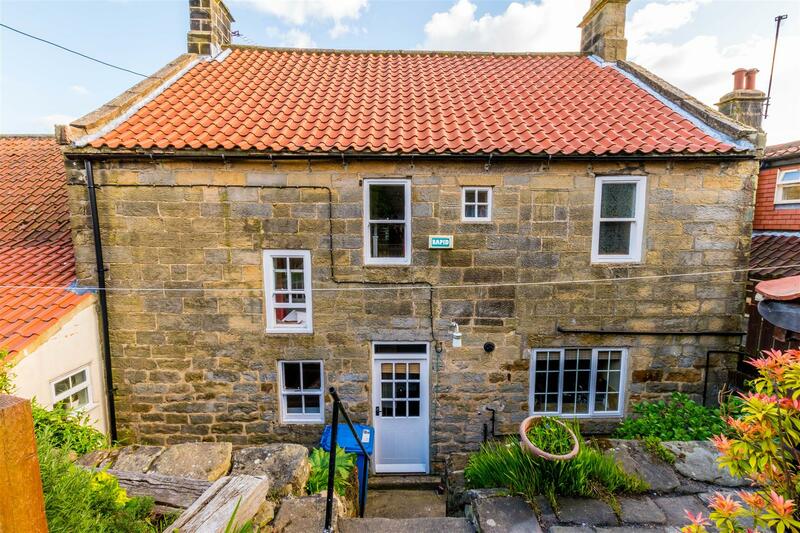 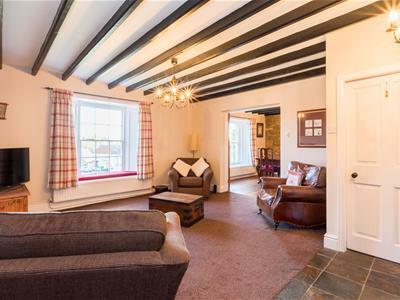 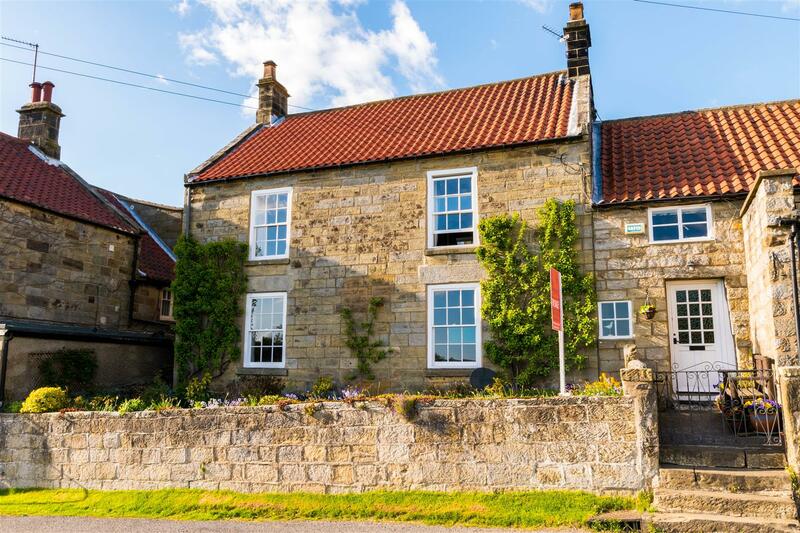 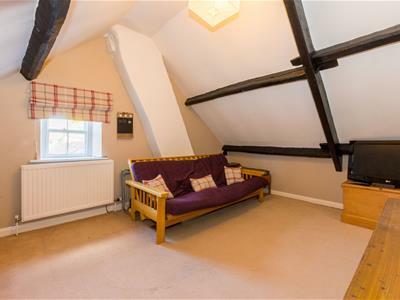 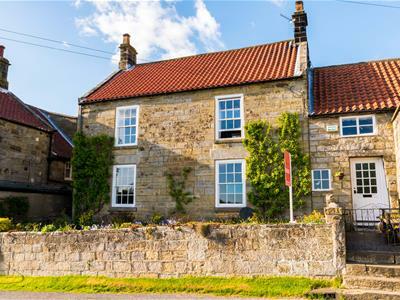 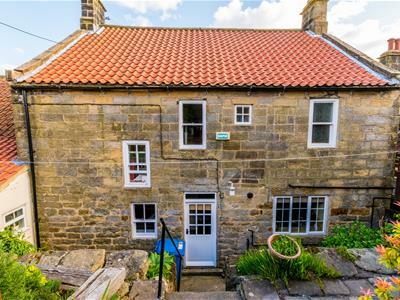 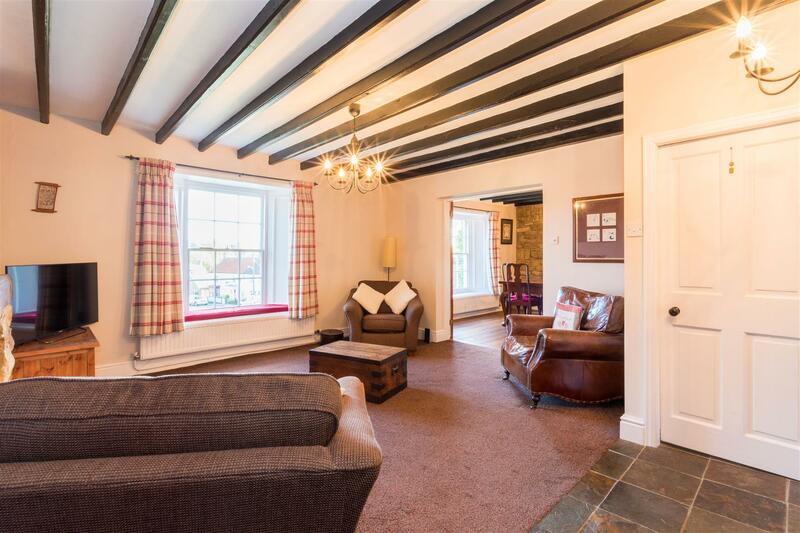 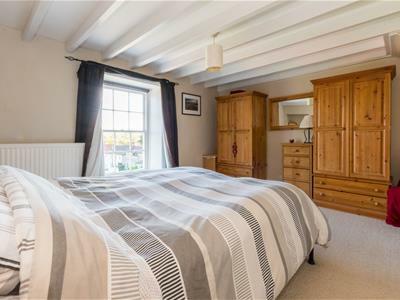 It sits overlooking the village green in the tranquil village of Danby in the heart of the North Yorkshire National Park and is said to be one of the first properties built in the village. 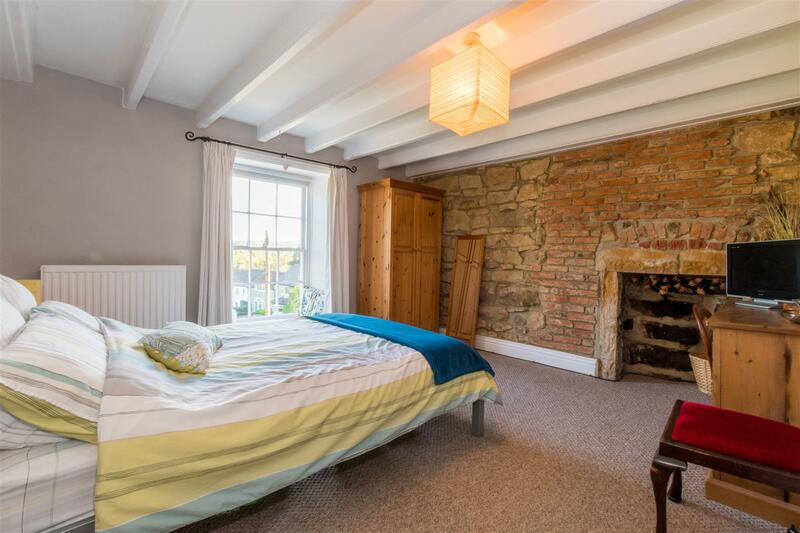 The property retains many of it’s original features with exposed walls, beams and sash windows throughout. 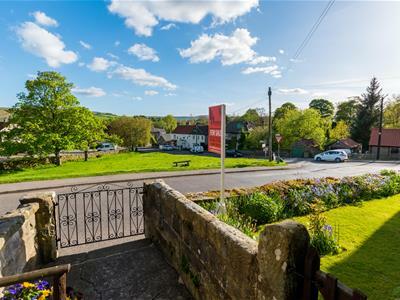 Gardens front and rear and far reaching views complete this welcoming family home. 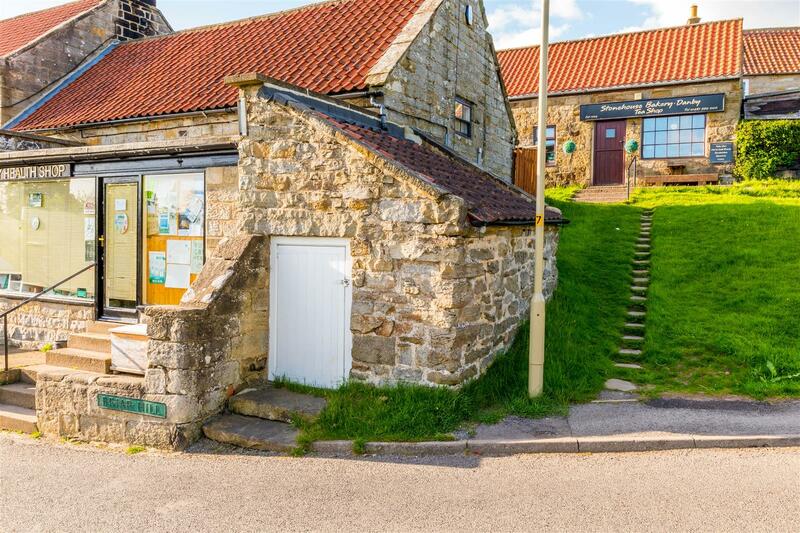 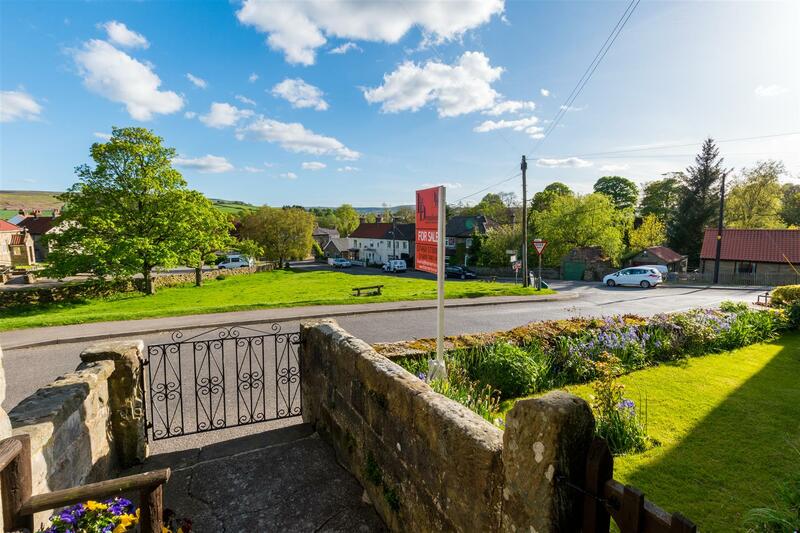 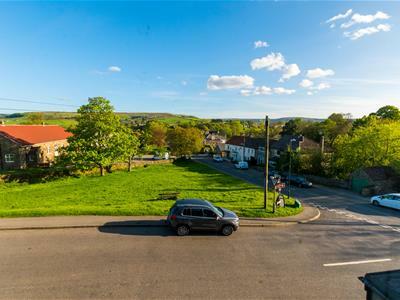 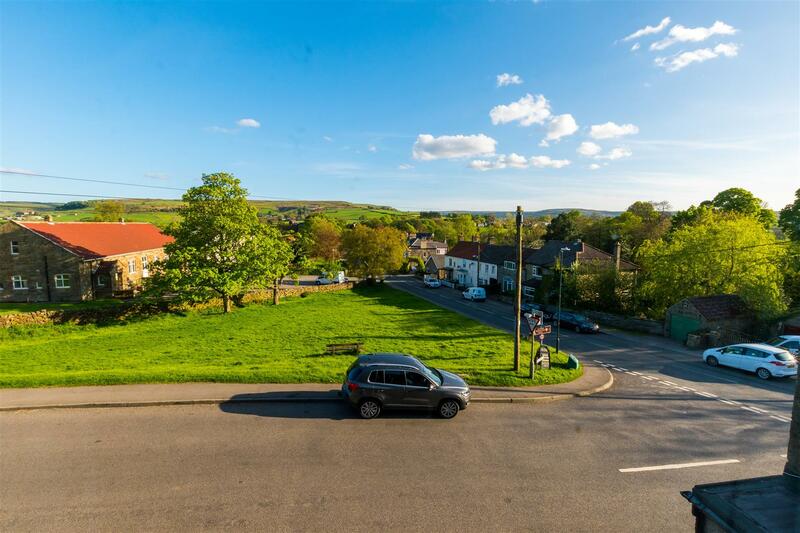 Danby itself is a beautiful village with local amenities including a shop and a pub. 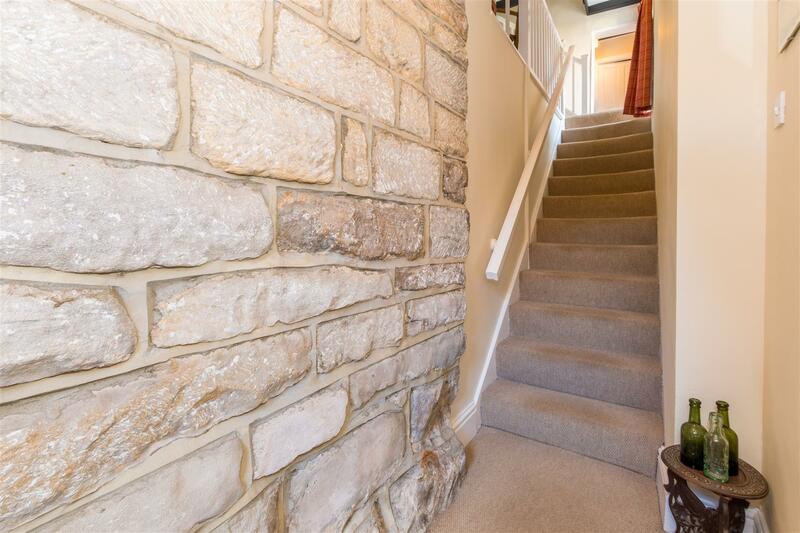 Enter into a spacious hall with an Italian ceramic tiled floor and exposed stone wall. 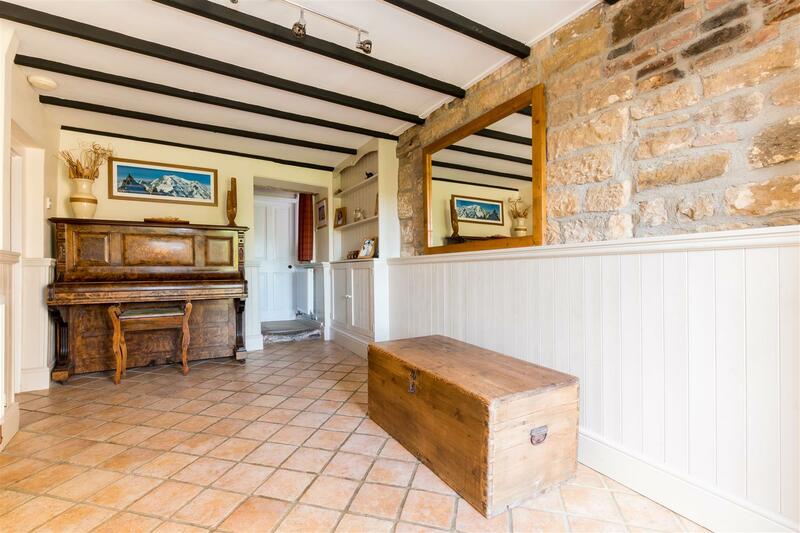 There are windows to the front and side. 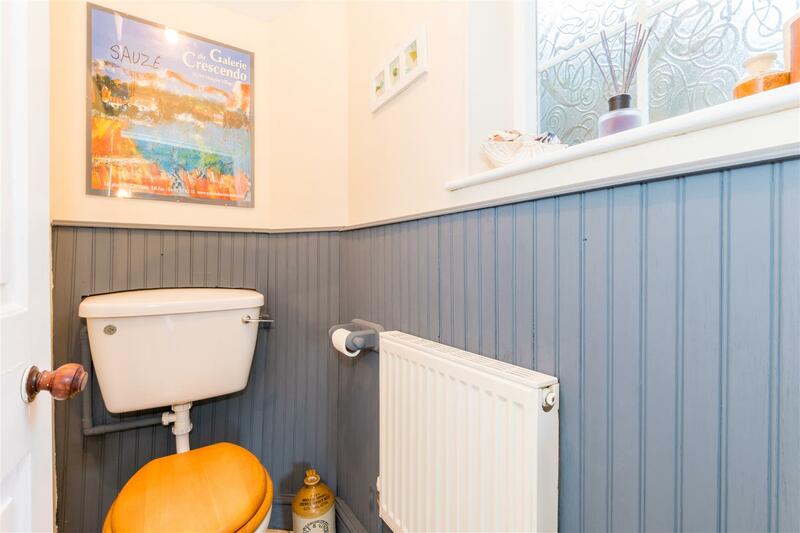 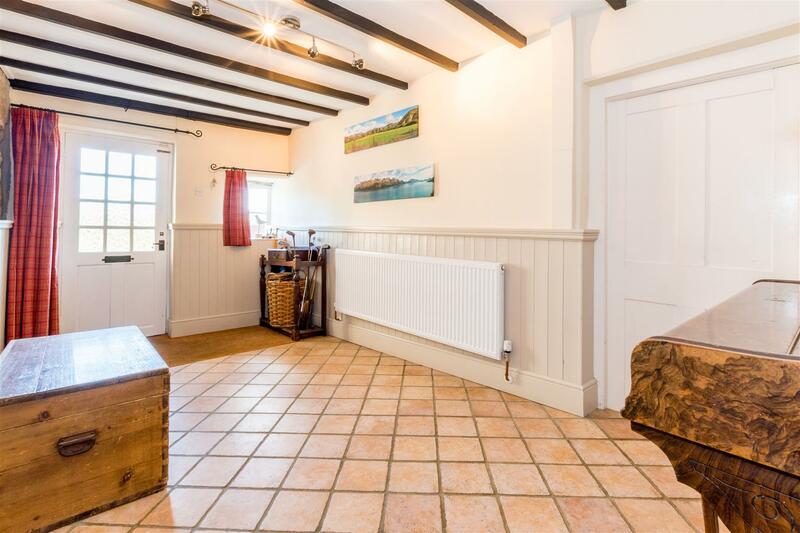 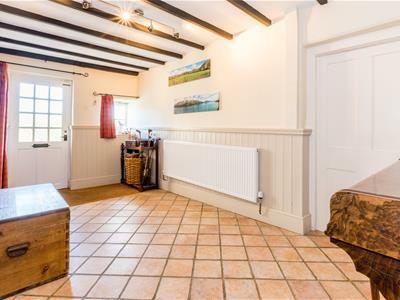 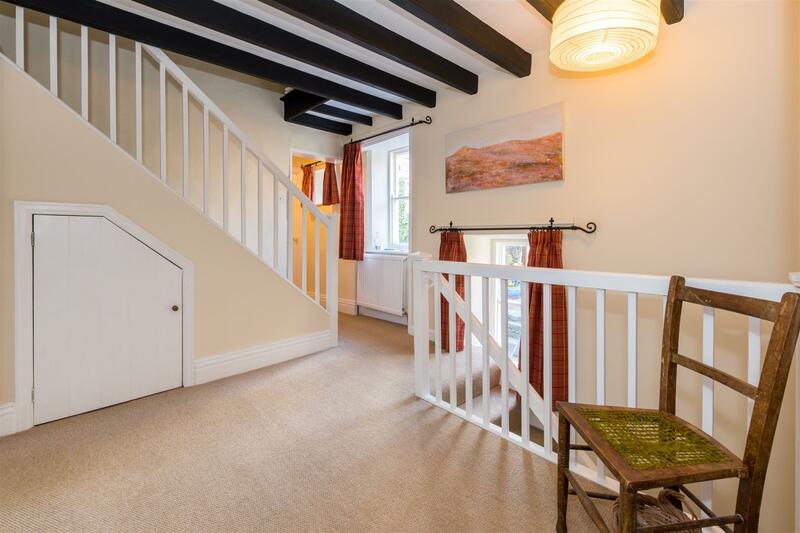 The inner hall has stairs to the first floor and a door to the separate WC and utility room with base units, a sink and drainer plus space and plumbing for a washing machine and tumble dryer. 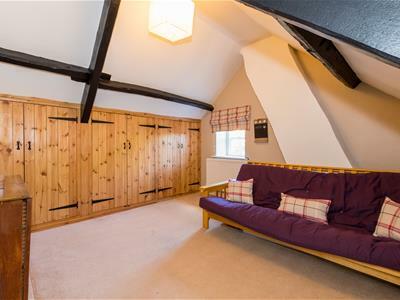 From the hall there is a step down into the living room. 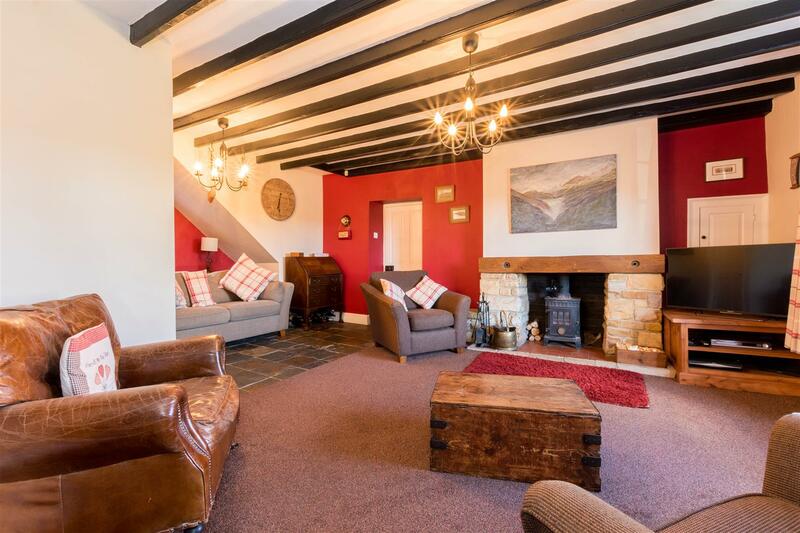 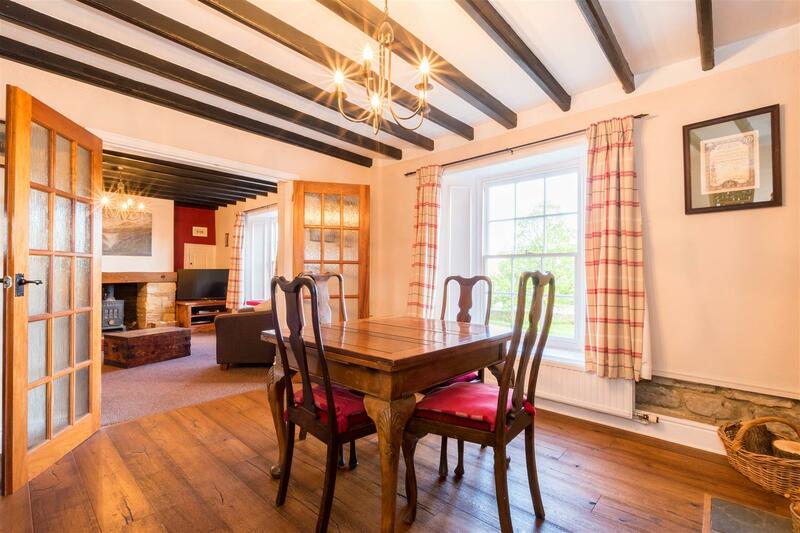 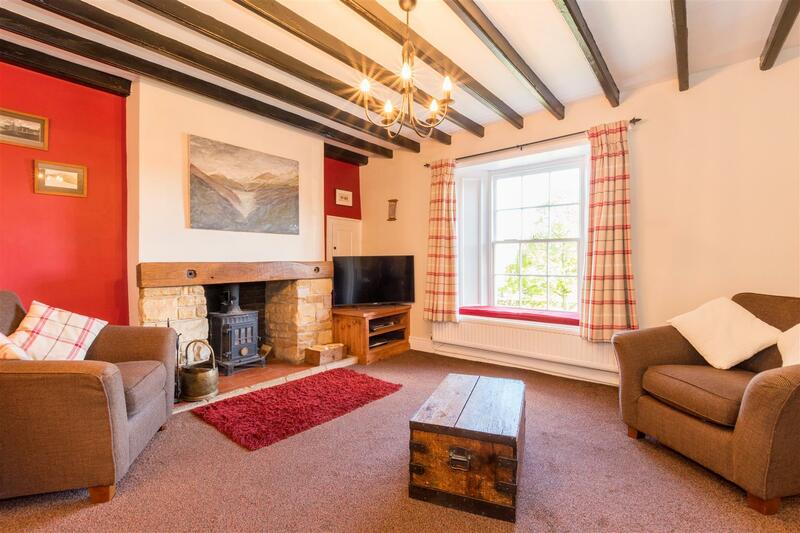 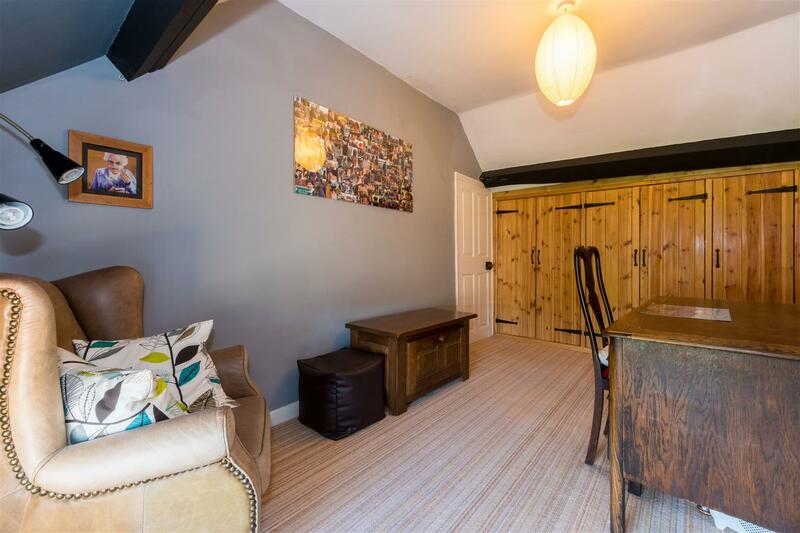 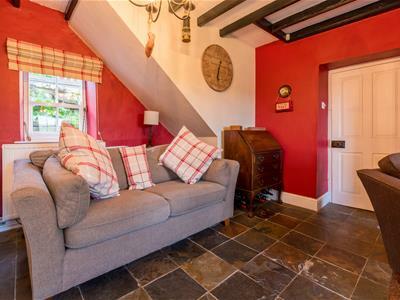 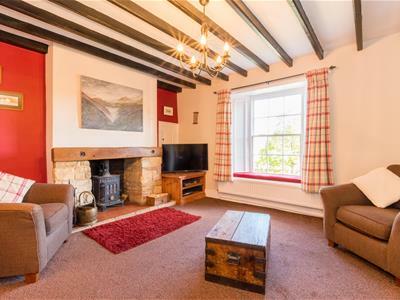 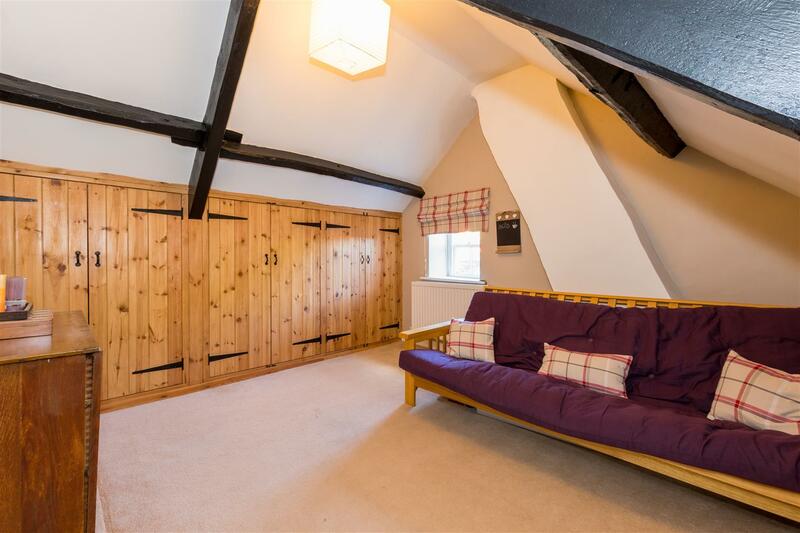 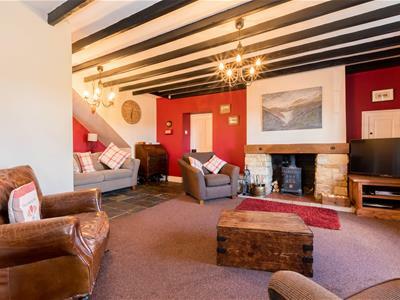 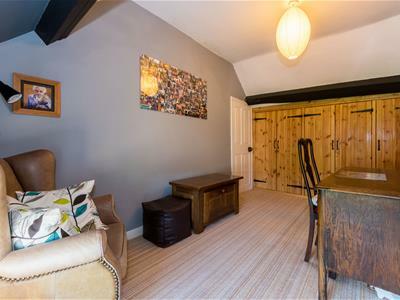 With windows to the front and rear and a feature fireplace with an Oak mantle and stone surround housing a log burning stove this is a rather lovely room. 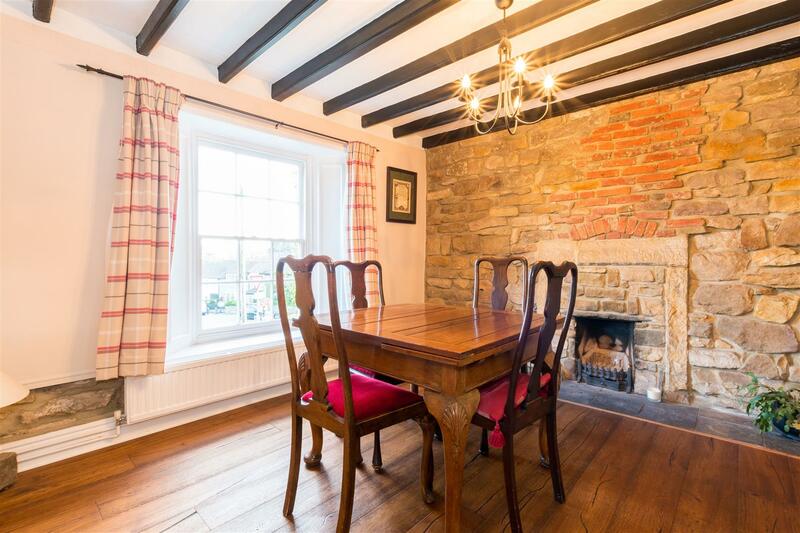 Double doors lead into the dining room with a window to the front and featuring an exposed stone wall and fireplace. 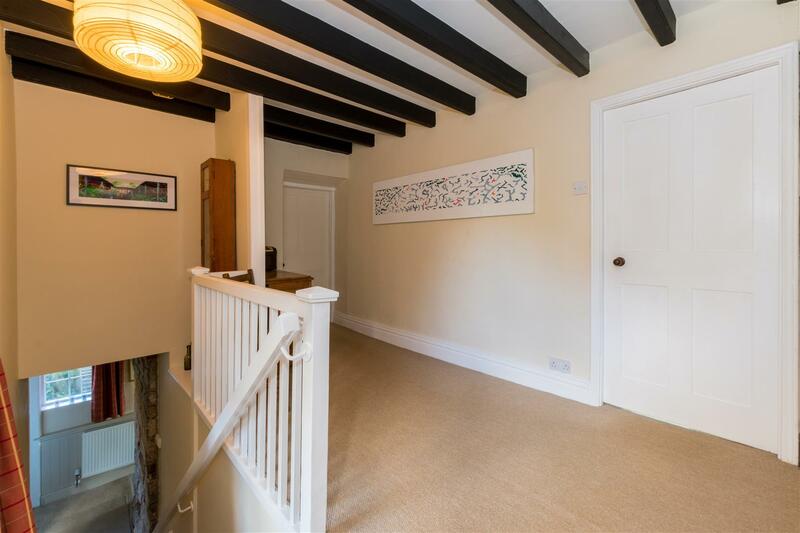 An archway leads you into the kitchen which has windows to the rear and an external door to the garden. 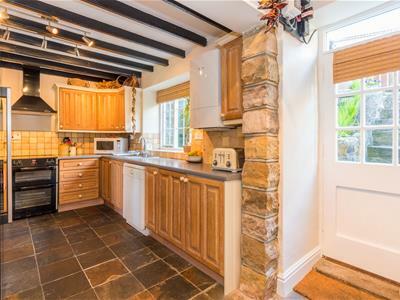 The range of base and wall units are finished in light oak and cream with complementing work surfaces. 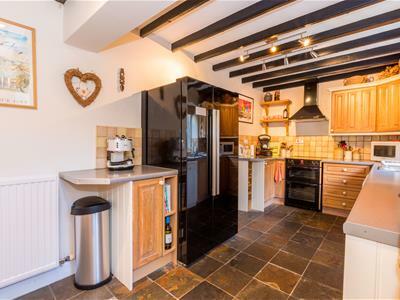 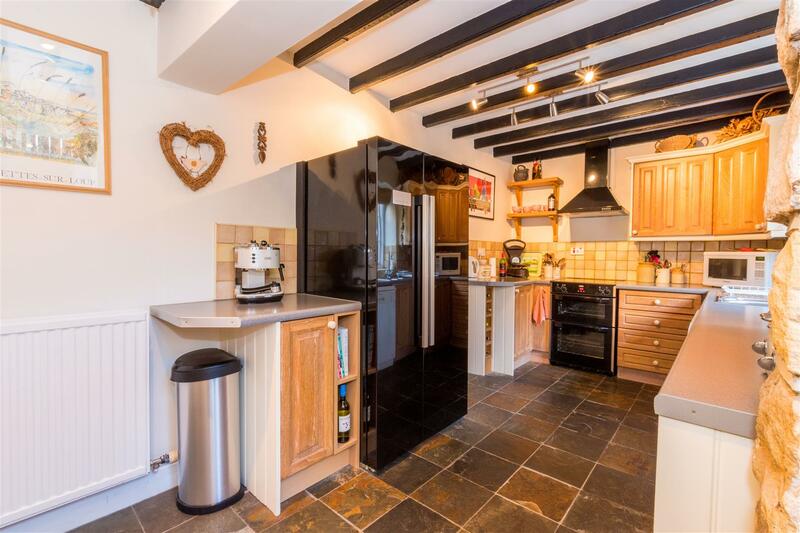 The appliances comprise a Belling free standing cooker with ceramic hob, space and plumbing for a dishwasher and a large American fridge/freezer. 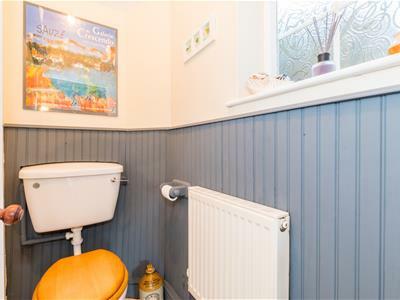 There is also a newly fitted wall mounted LPG gas boiler. 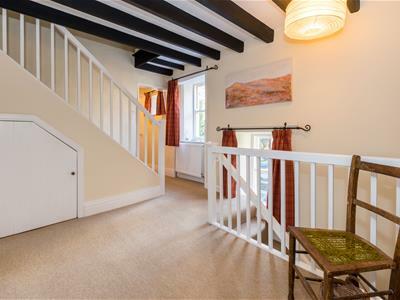 The spacious first floor landing has windows to the rear and stairs to the second floor. 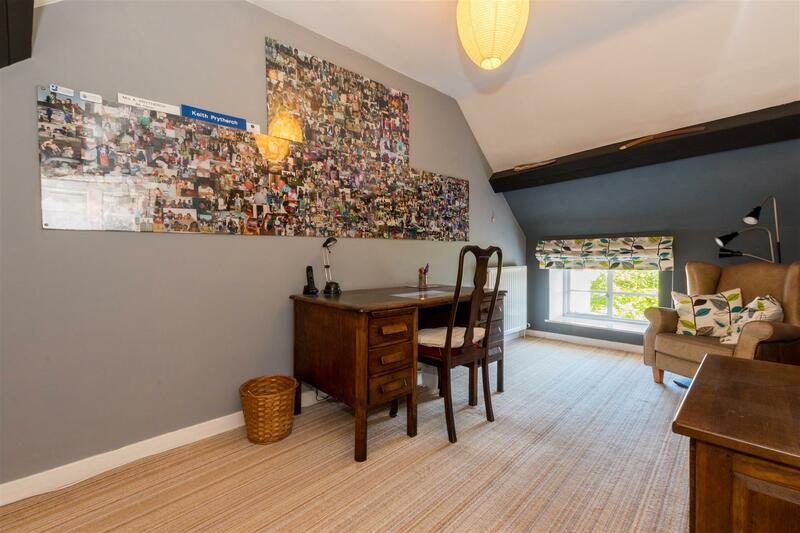 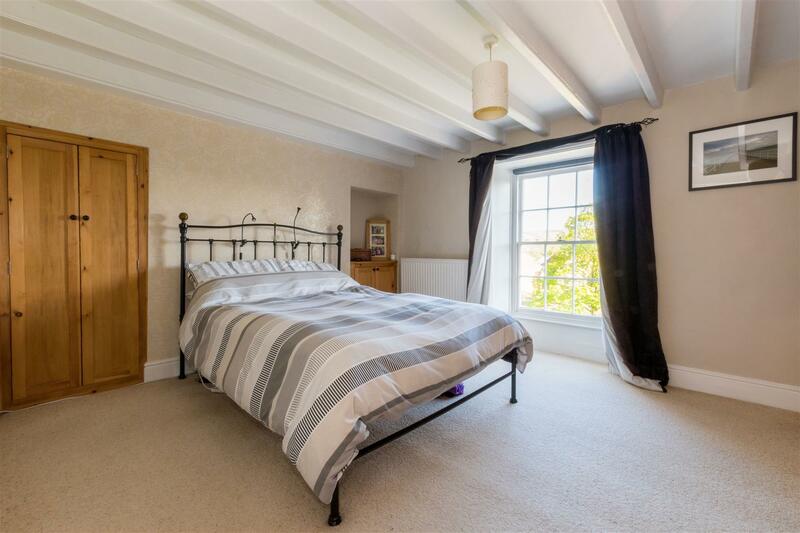 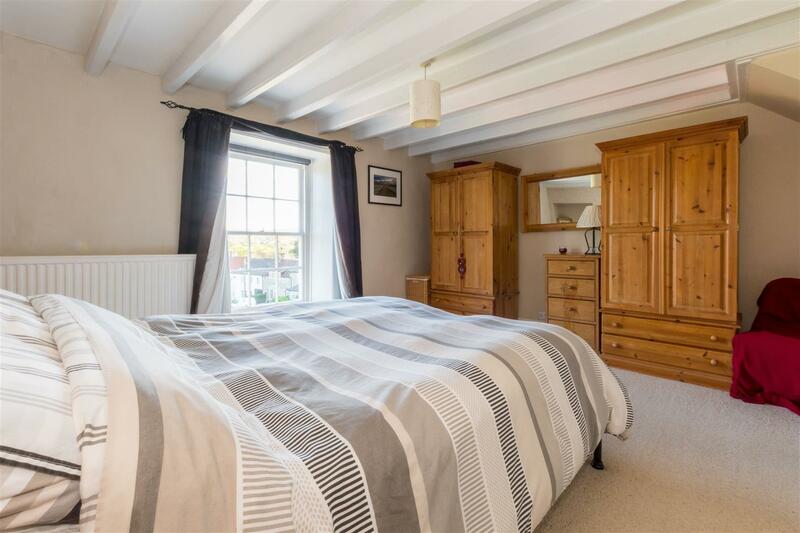 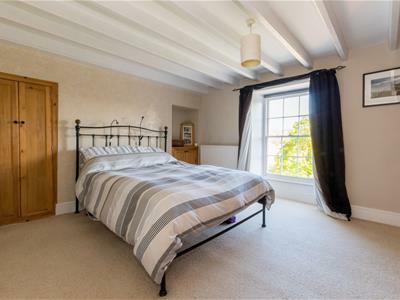 The generous master bedroom has a window to the front providing far reaching views. 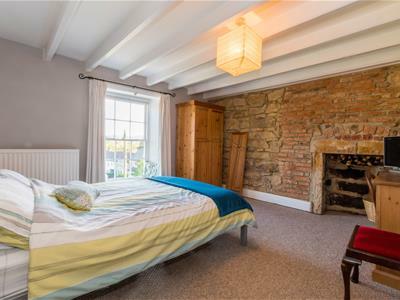 Bedroom two has a window to the front and an exposed stone wall. 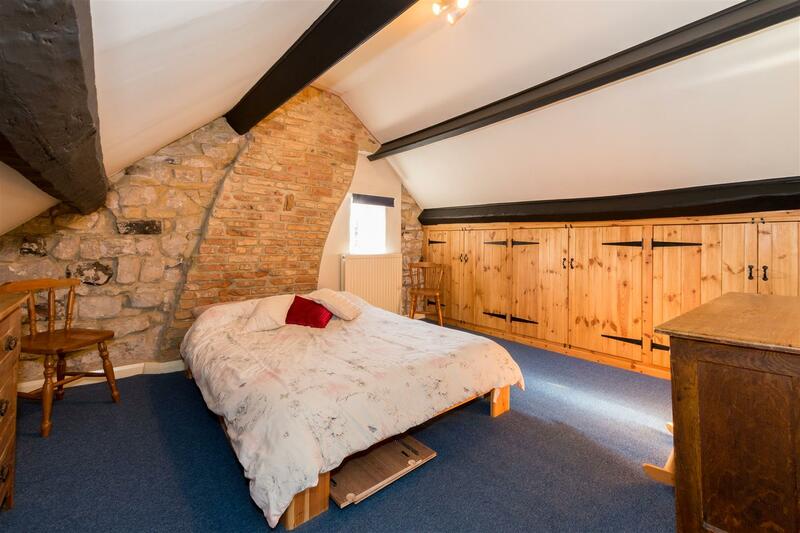 Bedroom five also overlooking the front and currently used as an office also has additional built in storage. 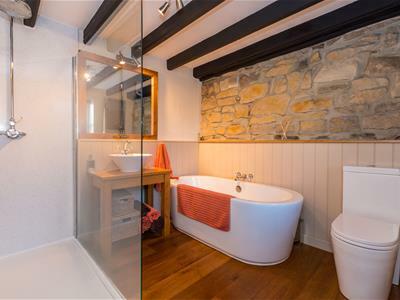 The house bathroom is newly fitted with a three piece white suite featuring a free standing bath. 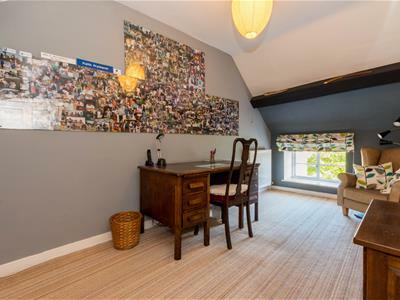 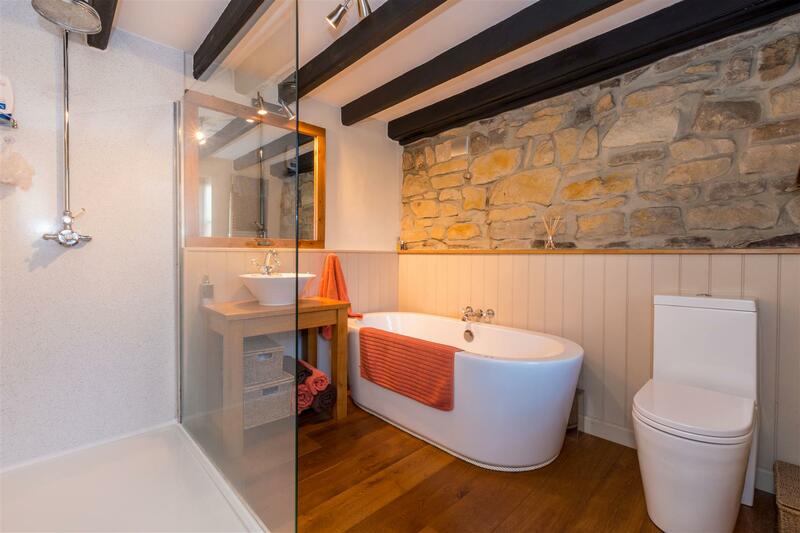 A large walk in shower, heated towel rails and a window to the rear complete this room. 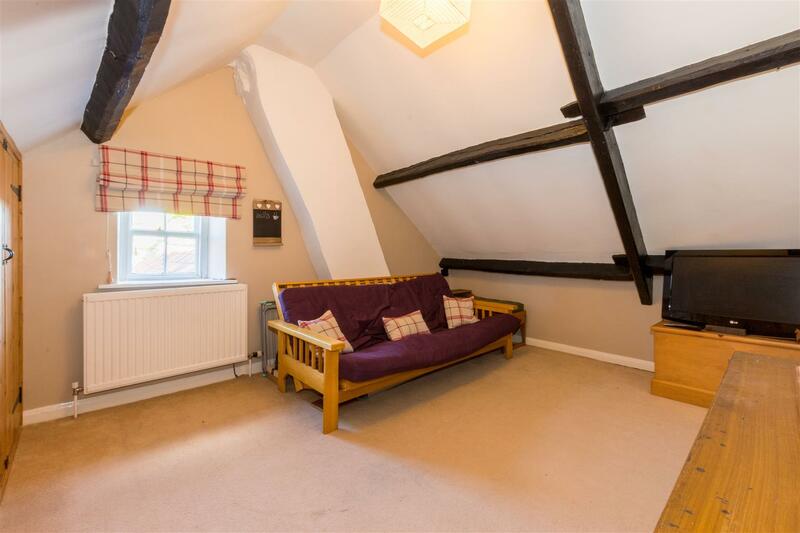 The second floor offers bedrooms three and four, both double rooms with built in storage and windows to the side. 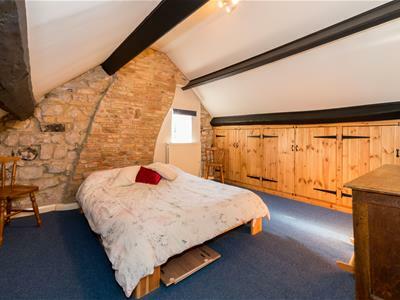 On the landing is a well-placed linen cupboard. 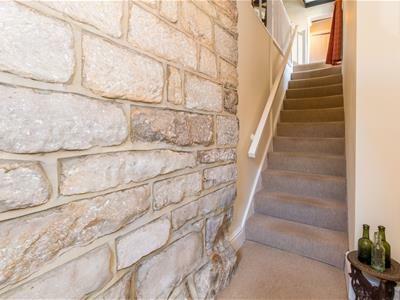 To the front there are stone steps leading to the property. 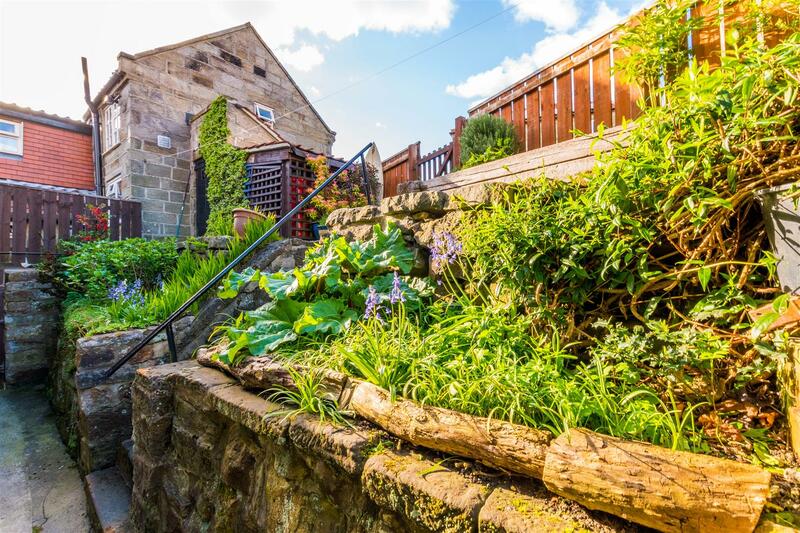 The garden is laid to lawn with well stocked flower beds. 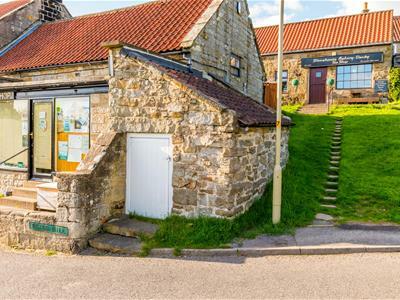 There is separate stone built storage close to the property, ideal for bikes and garden furniture. 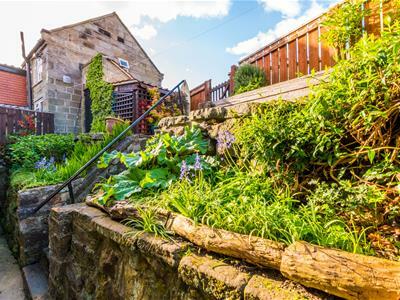 To the rear the garden is tiered and offers a vegetable plot and well stocked flower beds. 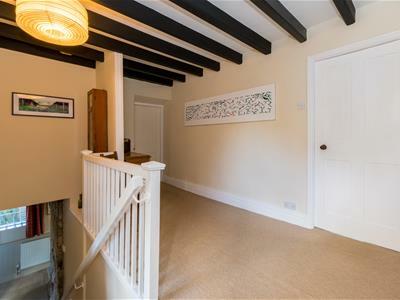 Steps lead to a gate and onto the rear lane beyond.